This one took me circa four days to prepare, before final recording that is. I have been trying with the microphone position (Neumann U47) and with mild – really just a bit – equalization. A passion for gear. Now before I get into the fun facts and knowledge about my gear. I would like to say few things about how I got to the point I am at today. Here I am again with another article. This all is mostly things we already know, but I felt that we needed a place to put it all together and make it easier to consult rather than have to search though all the other pages to find the info on the comments or that sort of thing. 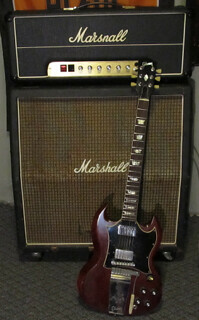 What I plan to do is a real Index for everything AC/DC related (gear-wise), but mostly the amps. 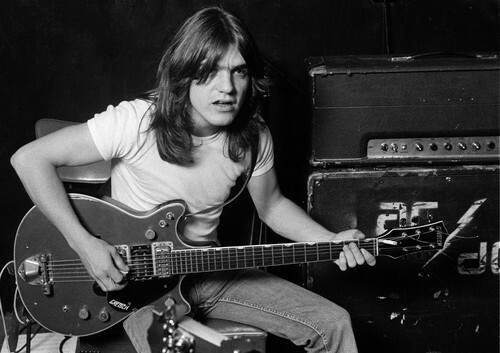 Perhaps we can cover all of AC/DC’s history, but I can’t do this alone. I would like to ask every member of this community a little help. If you find any bit of info, good pics, videos, whatever it is, that you think it’s interesting, share with us, so we can oficially post it here. 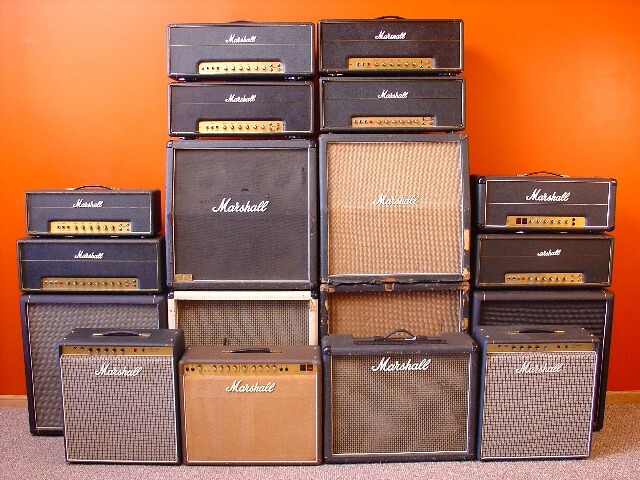 So, let’s start with the amps. Update: adding another little thing I did for the wife’s birthday (next sunday). Used the ’50s Les Paul for all of it, and the Gibson “Dusk Tiger” for the acustic parts (piezo only). I remember many times people asking me what were my originals like. This is what I have in mind usually. Little update as of Oct. the 19th 2010. I am always experimenting as soon as I have a minute available, so I tried what follows. Now, one thing that also intrigues me immensely is “Powerage” and LTBR tone. Both of them. So I replayed rhythm and re-soloed this track trying to capture a bit of that spirit, although re-listening to this it sounds more Flick of the Switch-ish probably. Don’t know, can’t say. The delay I put on the solo guitar was meant to be more LTBR-ish. Now, the interesting – maybe – thing is the fact that I think Angus on LTBR was “overloading” the input channel of his amplifier somehow. NOT with a distortion pedal, but more with pure “volume boost”, so basically a unit of some sort (might be already the Schaffer-Vega Diversity Systtem, that had a “boost” feature on the unit that would in fact “volume boost” the input signal). Might have been anything. So what I did, is to use a pedal I have (and will show to you) that has “volume boost” only, NO gain! No dirt here: just volume. It’s the same as the famous “Klon” pedal, which I also have and tried prior to this other one. But this one is a little more “colored” and I liked it more.